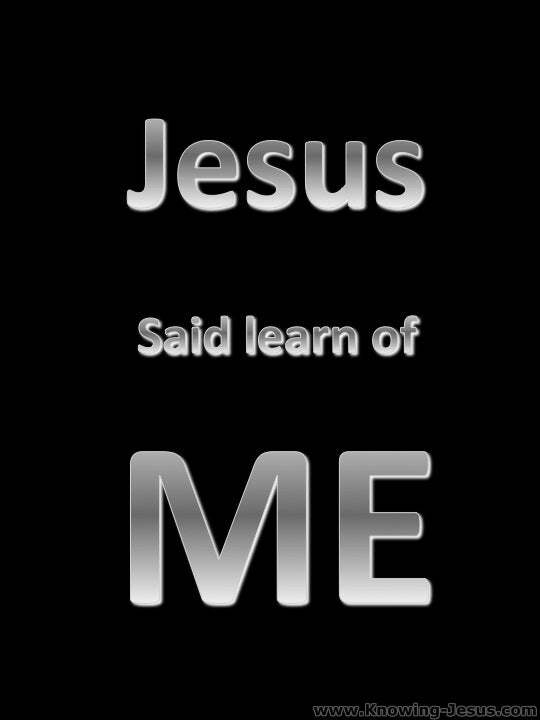 Jesus said during His earthly walk “take My yoke upon you and learn of Me.” Paul later challenged us when he was sharing about the risen Lord to “learn Christ”The indwelling Spirit of Christ is to be our life in everything that we do. There is an enormous change and challenge between these two instructions. 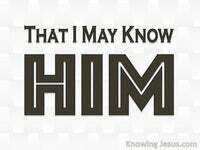 It is important to know about Christ but for a victorious life we must learn Him. During His earthly walk the disciples were encouraged to learn about Jesus. They were to watch His walk; to witness His character; to observe His attitude. They were to obey in His commands, abide by His teachings and they were to hear Him. 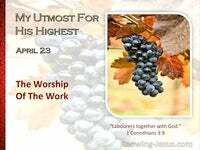 During Christ’s earthly walk His followers were challenged to learn about Jesus. But through the leading of the Holy Spirit, Paul challenges each of us to learn Christ… an outward, objective observance was to become an inward, subjective service. It was no longer to be an imitation of His life but an identification with Himself.. not just know about Him but know Him – not just learn about Him but learn Him. The permanently indwelling Spirit of Christ is to be our life in all that we are. What a tremendous shift from objective learning to its subjective counterpart. 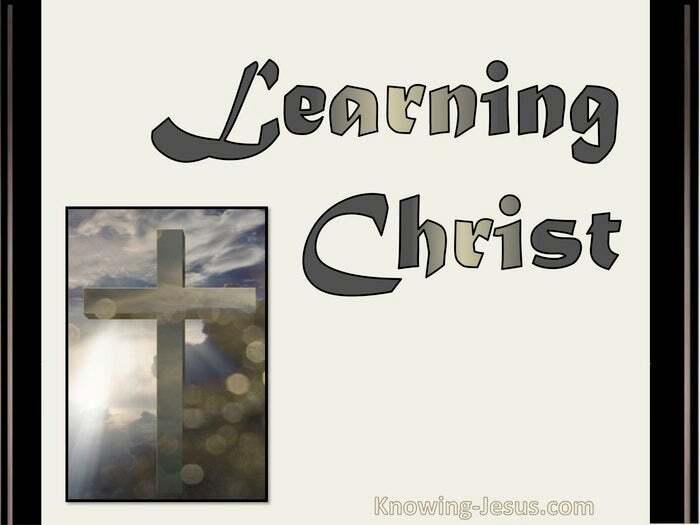 Before they could learn Christ they first needed to learn about the Lord Jesus. Before being commissioned as apostles, His followers must first be His disciples. Early in Christ’s ministry the disciples believed the Lord because of His signs, but to develop into mature believers, they were to be participators of His life. Today, objectively imitating Christ will result in a stunted Christian life. 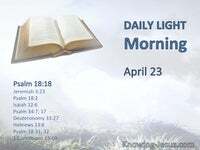 Today, subjective participation in Christ’s life will avail a victorious Christian life, – we are to identify with the indwelling Spirit of Christ, Who is our life. Christ’s earthly life was a pre-cross life of humiliation – a life of learned obedience. In His humanity He was a man of sorrows – acquainted with rejection, pain and grief. He walked, in humble obedience from cradle to grave.. with the Cross in His sight. He set His face as a flint throughout His earthly walk, to endure to the very end.. If He were to break the power of sin and death in Adam’s seed – He must suffer and die. 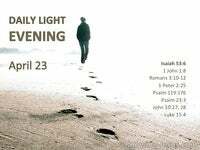 Before His resurrection was the earthly walk of shame.. a walk to the cross and death. During His earthly walk, Jesus said to His disciples in Matthew, “take my yoke upon you and learn of Me.” Matt.11:29. 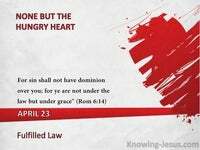 After His glorification into heaven Paul set the standard – to Learn Christ. It is not an imitation of the life of Christ but an identification with Christ Who is life. We cannot imitate Him for to do so we would fail – but we can identify with Him. To learn Christ we must first “see” Christ, “know” Christ,” identify with” Christ. To learn Christ is the mark of a life governed by the Holy Spirit. To learn Christ is a life that delights to say to the Father, Thy will be done – to learn Christ a life is continually and ever more occupied…. with Jesus.